The Monetary Authority of Singapore today said it has imposed penalties of S$5.2m ($3.95m, £2.8m, €3.2m) on Standard Chartered Bank’s Singapore branch, and S$1.2m on Standard Chartered Trust (Singapore) Ltd, for breaches of the city-state’s anti-money laundering and countering the financing of terrorism rules. The breaches occurred when trust accounts of SCBS’ customers were transferred from Standard Chartered Trust (Guernsey) to Standard Chartered Trust (Singapore) between December, 2015 and January, 2016, the MAS said in a statement. In its statement, MAS said it “found SCBS’ and SCTS’ risk management and controls in relation to the transfers to be unsatisfactory”. It said the transfers in question had occurred shortly before Guernsey’s implementation of the Common Reporting Standard (CRS) for the Automatic Exchange of Financial Account Information in Tax Matters, the new, OECD-promoted global scheme aimed at cracking down on the use of overseas bank accounts by wealthy individuals to avoid tax obligations. This timing, MAS noted, “raised questions of whether the clients were attempting to avoid their CRS reporting obligations”, yet the Standard Bank entities in Singapore failed to “adequately assess and mitigate against this risk factor, and also failed to file suspicious transaction reports in a timely manner”. 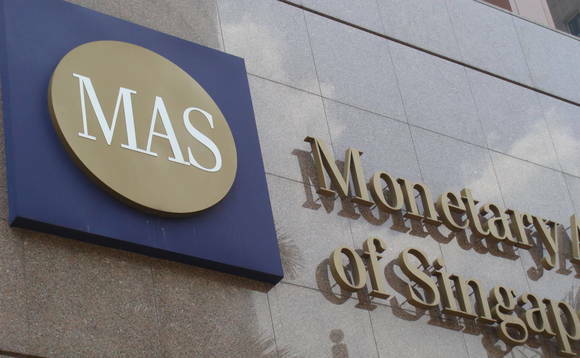 MAS said that it had taken into consideration “mitigating factors” in determining the action it ultimately took in the matter, including the fact that SCBS had pro-actively notified MAS of its internal review on the trust accounts, and that SCBS and SCTS management “showed strong commitment to address the deficiencies identified by MAS”. “Both SCBS and SCTS have taken prompt and substantive remedial measures to strengthen their AML/CFT risk management and controls,” the MAS statement noted. The MAS action, announced today, comes a little more than five months after media reports indicated that StanChart was under investigation over $1.4bn of private bank client assets reportedly transferred from Singapore to Guernsey ahead of the pending CRS deadline, which said that the assets involved were reported to involve mainly Indonesian clients, some of whom had links to the military. Standard Chartered issued a statement in response to the MAS action in which it said that it “regret[ted] that we fell short of our own standards in adequately mitigating the risks involving some clients who might have attempted to avoid reporting obligations under the Common Reporting Standard, by transferring their trusteeships between December 2015 and January 2016”. The statement added: “We take this matter very seriously. We proactively reported it to the authorities, conducted a thorough review of the relevant trust structures, and made structural and procedural changes to ensure that our employees are better equipped to identify, assess, and mitigate potential risks. The bank said it would “continue to take ongoing rigorous action to strengthen our controls and culture, including further enhancing our training programmes to ensure that relevant, timely training is provided to enable us to stay updated with the latest developments”, and that it would “continue to monitor, review and strengthen these measures” to bolster its overall defence against potential financial crime risks. As reported, more than 1oo jurisdictions, including Singapore, have committed to implement the CRS, which sets out the financial account information participating jurisdictions are to automatically exchange with one another, as well as which types of financial institutions are required to report, the different types of accounts and taxpayers covered, as well as the customer due diligence procedures to be followed by the participating financial institutions.